Casper vs. Tempurpedic - Which Memory Foam Mattress is Best? Home » Mattresses » Casper vs. Tempurpedic – Which Mattress Performs Better? Casper vs. Tempurpedic – Which Mattress Performs Better? Choosing a good mattress is important for your health. Getting a solid eight hours of good and comfortable sleep is extremely important. A good night’s sleep matters, as it can help prevent illnesses, improve mental health, and increase productivity. Selecting the right mattress is a critical component to having a great night sleep. There a lot of features to look for when selecting a new mattress; like price, design, comfort, warranty, materials and size. We are comparing two memory foam type mattresses, Casper and Tempur-pedic. Each has their own distinct set of characteristics, yet are made of very similar materials. If you want a mattress you can sleep on without disturbing your partner or kids memory foam is a great choice. With so many mattress options out there; how do you pick one? It is always a good idea to try out several mattresses and determine what is right for you. You could be looking for something gentle on your budget or you may need a mattress that offers more features and is more customizable to get that perfect night’s sleep. Casper mattresses are constructed of four different foam layers. Each layer has unique properties adding to the overall quality and feel of the mattress. The top layer helps to keep you cool through the night and creates the mattress’ firmness. The second layer is made of memory foam which provides comfort and pressure relief. The third layer is made of transitioning foam which helps to distribute your weight when you lie down. The final and thickest layer, provides support for the top layers. This bottom layer helps prevent the other layers from sagging or sinking over the life of the mattress. Tempur-pedic mattresses also come with several layers made of foam to help conform to your body. The first layer is designed to help with temperature control and various models offer different materials to ensure you get a cool night sleep. The second layer helps with pressure relief, preventing aches and pains. The third layer helps to distribute weight as you shift positions throughout the night and the bottom layer is designed as the primary support layer to keep the top layers holding their shape for long lasting use. Casper mattress are designed for comfort on a budget. Their mattresses are firm, yet soft enough to give you the pressure relief memory foam is famous for. Many memory foam users rave about getting a pain free sleep. Due to its design, you can sleep in various positions and the mattress will distribute the weight; so tummy sleepers, side sleepers, and back sleepers can all sleep comfortably. The top layer of the mattress is designed to keep your temperature regulated and prevent you from being overheated while you sleep. Casper mattresses also come with a layer to prevent motion from transferring throughout the bed. If you spend your nights tossing and turning while you sleep and don't want to disturb your partner, this feature will make sure everyone sleeps well. Tempur-pedic mattresses will also give you the comfort you want with memory foam designed to conform to your body. There are several models to choose from, so finding one to meet your specific needs can be easy. Tempur-pedic memory foam is ideal for all sleeping positions, but tempur-pedic does offer different firmness option. Tempur-pedic also includes a component to prevent you from feeling your sleeping buddy’s movement while you both rest. ​Perhaps more than anything, pricing and actually making the purchase is the biggest difference between a Casper and a Tempurpedic mattress. Casper mattresses are designed for the budget friendly consumer. You can choose a size that fits your specific needs as they are available in: Twin, Twin XL, Full, Queen, King and California King. Pricing ranges from $500 for the twin bed up to $950 for the California King. Don't be fooled by the price though, you will not sacrifice comfort by purchasing a Caper. You are guaranteed to sleep peacefully knowing you saved money. You can also check out the Casper website for add ons like, sheets, pillows, and a foundation. These are just added bonuses to help create a perfect sleeping setup. Tempur-pedic mattresses come in various models and sizes from a twin to a California King and have a wide range in cost depending on added features. The Tempur-pedic mattress can range from a little over $1000 - $8,000 and up, depending on what size and model you choose. There are four different collections to choose from with about fifteen different options in all. Tempur-pedic definitely has more options, with additional cooling features, this may be a better choice if you have a difficult time finding a memory foam bed that keeps you cool enough. Tempur-pedic is a bit pricier than other Casper, but offers a much more customizable sleeping experience. Adding things like cooling memory foam and adjustable firmness; Tempur-pedic makes a great choice if you don’t like the one size fits all model of Casper. Tempur-pedic also has other add ons you can purchase to make the best possible sleeping environment. You can add on sheets, pillows, mattress toppers, and a variety of different bases including an adjustable one. Casper lets you try out the mattress with a return option if you are unsatisfied. Casper will give you a 100 night free trial to give your new investment a test run. If you are unsatisfied at the end of the trial (or at any point during) just contact them and they will handle the return at no charge including a full refund. Casper mattress also come with a ten year limited mattress warranty. You will want to check out the Casper website to determine what is covered, but coverage is pretty standard across the two brands. Casper also has a handy chat feature to help you with any additional questions. Tempur-pedic also gives you the option to try out the mattress and return it if you are not satisfied. The ninety day trial period allows you to sleep on it, see if it works for you, and return it with little hassle. The ninety day trial includes delivery, set up and return if you are not happy with the mattress. The Tempur-pedic mattress comes with a ten year full replacement limited warranty. As with any mattress, please read through the warranty details on their website for exactly what is covered. If you have concerns or questions, you can contact tempur-pedic. In summary, Casper mattresses are designed with your budget in mind. It is a more economical option compared to Tempur-pedic, but only offers one model. Casper is a new-kid-on-the-block, quality brand in the memory foam mattress industry. 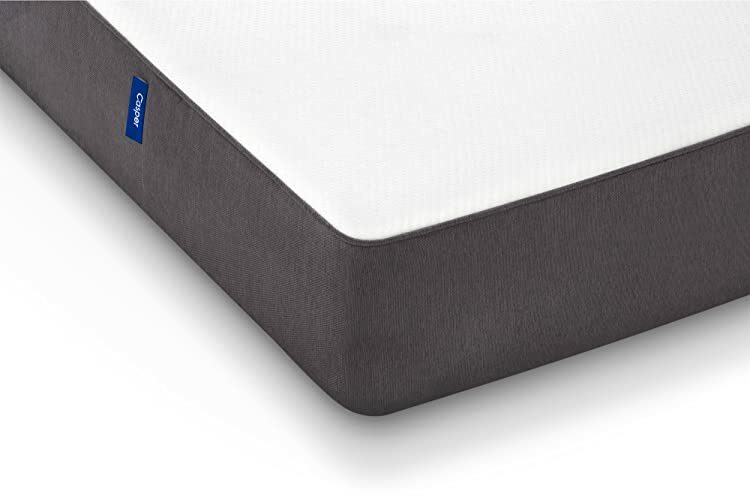 Casper offers four layers of foam comfort like Tempur-pedic. Each layer is specifically designed with an intended purpose that adds to the overall comfort and durability of the mattress. You will sleep comfortably and peacefully on both Casper and Tempur-pedic brands and you won't have to worry about disturbing others in the bed with you. Casper can be purchased from multiple websites like Amazon (since there is only one model) for added convenience. Also remember, low price, high quality product, ease of ordering, but less customization and extra features. Be sure to check with specific retailers to see if they offer the same trial and warranty as the brand’s websites. Tempur-pedic is the brand name standard in the memory foam mattress industry. It is higher in cost than Casper, but offers many extra features you can’t find anywhere else. The multiple design options from Tempur-pedic give you a more customized sleeping experience and possibly a better night’s sleep. With Tempur-pedic you get a sound sleep on a mattress that you are able to customize more to your specific needs. Tempur-pedic gives you the most individualized comfort options with models that offer features like a cooling gel layer or moisture wicking fabrics. So whether you are looking for a budget friendly mattress or the most customizable sleeping options, these two brands have something for everyone to sleep well.